Major U.S. utilities such as PG&E Corp., DTE Energy Co. and Consolidated Edison Inc. now offer special electric vehicle charging tariffs. 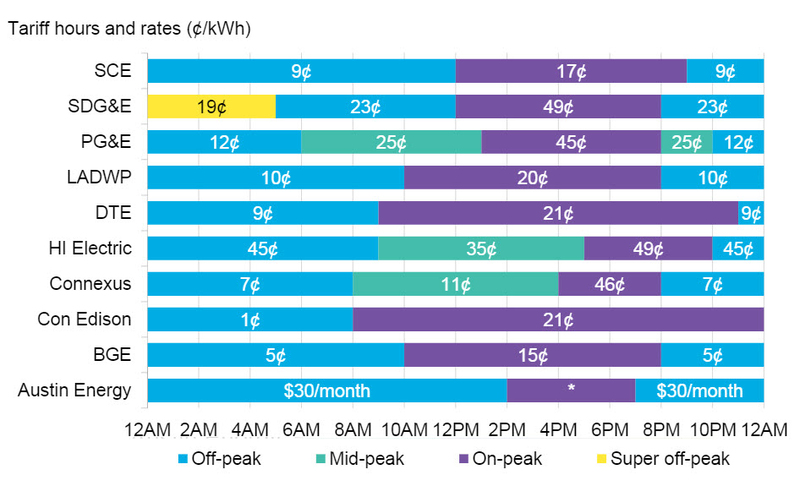 Designed to shift demand to off-peak hours, these tariffs offer steep discounts to consumers who charge their EVs at night. However, if solar PV deployment continues to rise, daytime power prices will fall and off-peak times will shift. This would make it more difficult for home charging tariffs to line up with off-peak times. The utilities, which are just beginning to experiment with EV grid services, will need more pilot programs to determine the true costs and benefits of boosting off-peak EV charging.